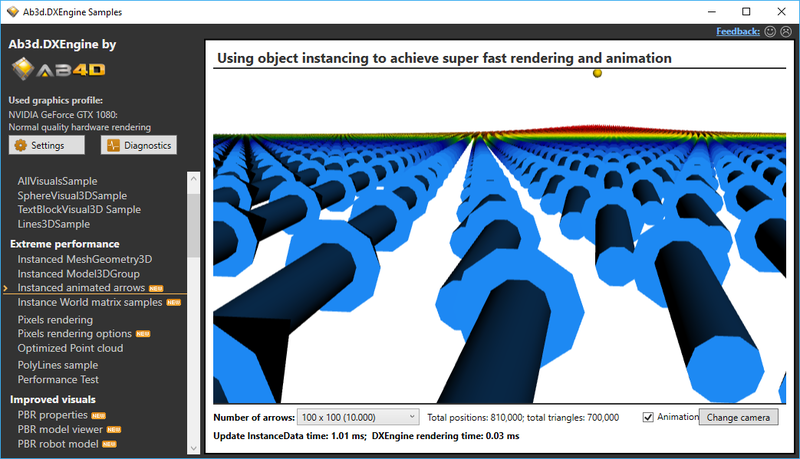 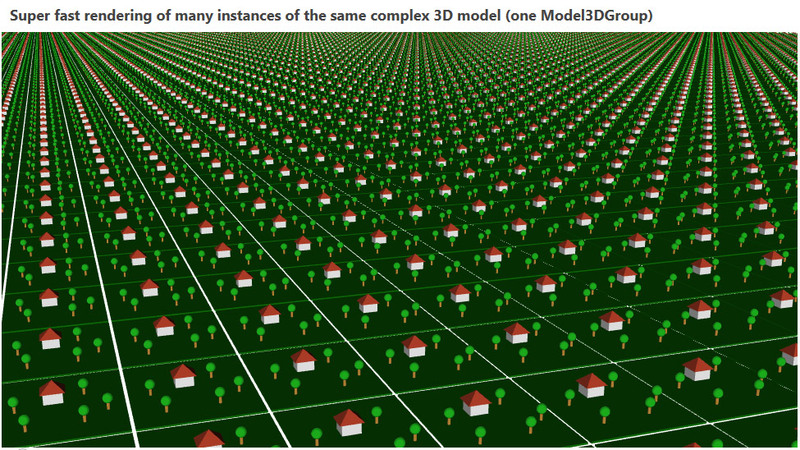 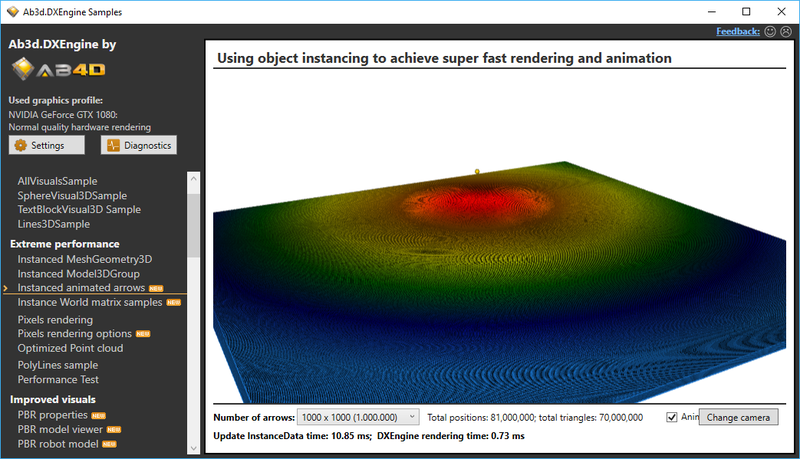 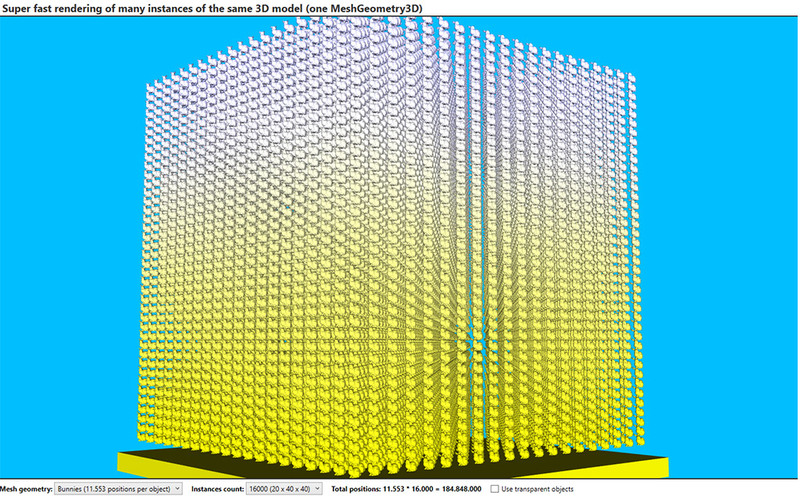 Render millions of triangles with using instancing, smart optimizations and other techniques to get extreme GPU performance. 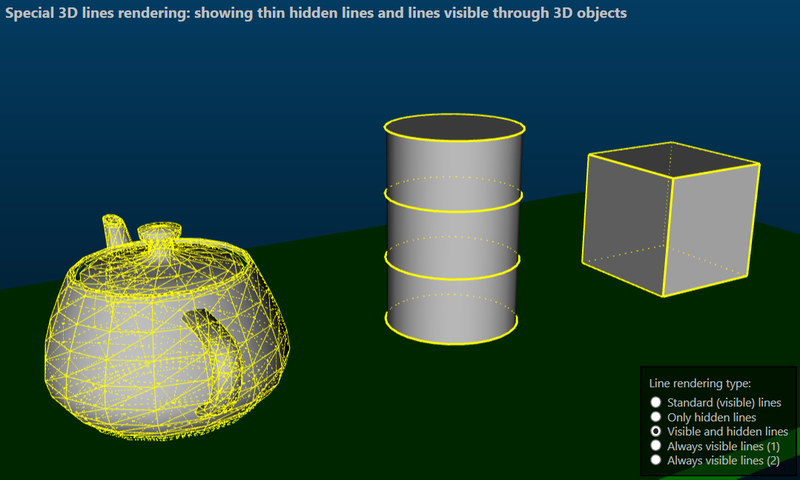 Render millions of hardware accelerated 3D lines (with custom thickness, line color and line pattern). 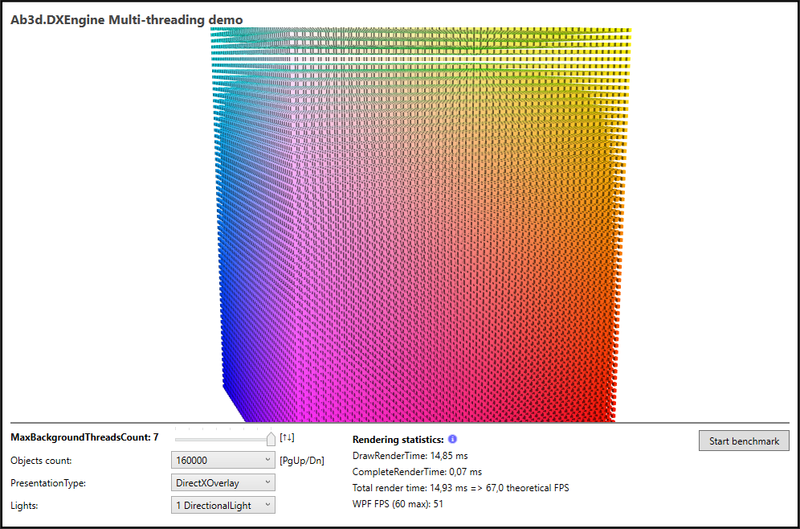 Multi-threaded rendering that can in some cases achieve more then 4 times the performance of a single thread. 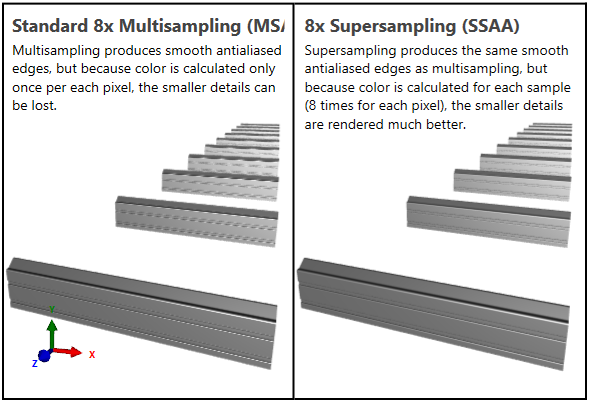 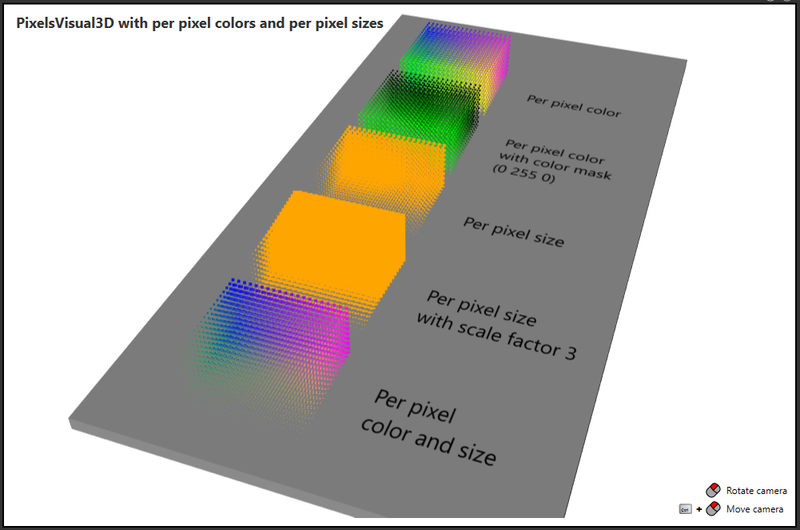 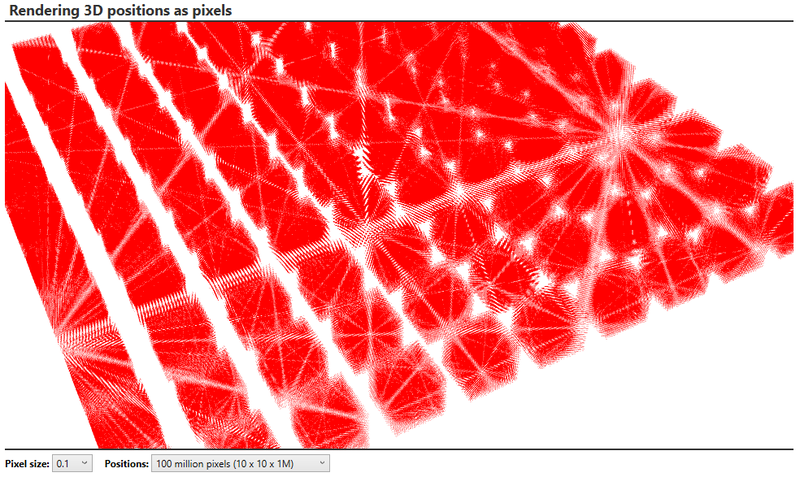 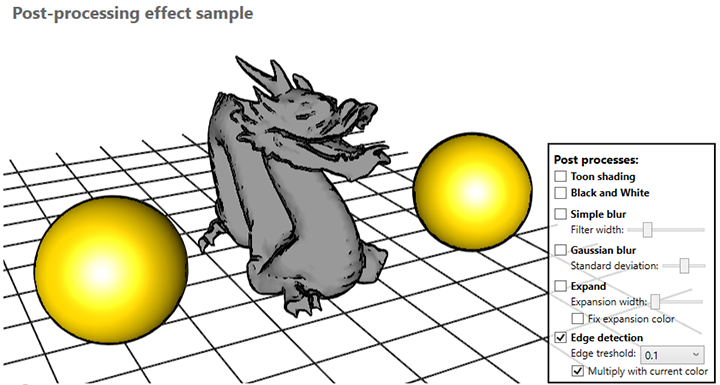 Super-fast per pixel lighting and super-sampling for improved visual quality. 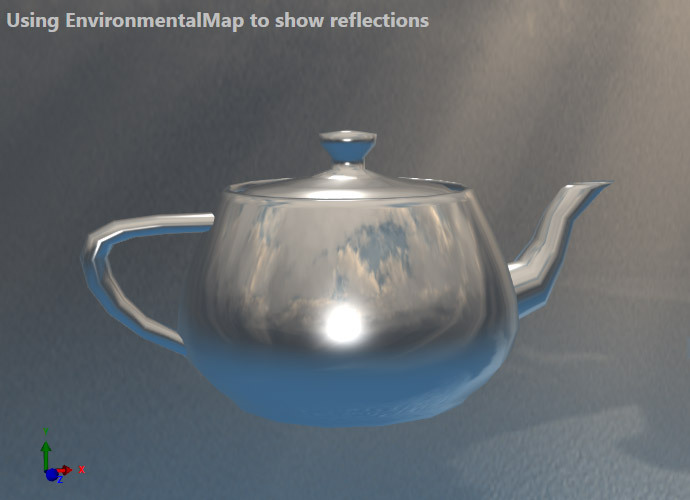 Support standard and PBR (Physically Based Rendering) materials. 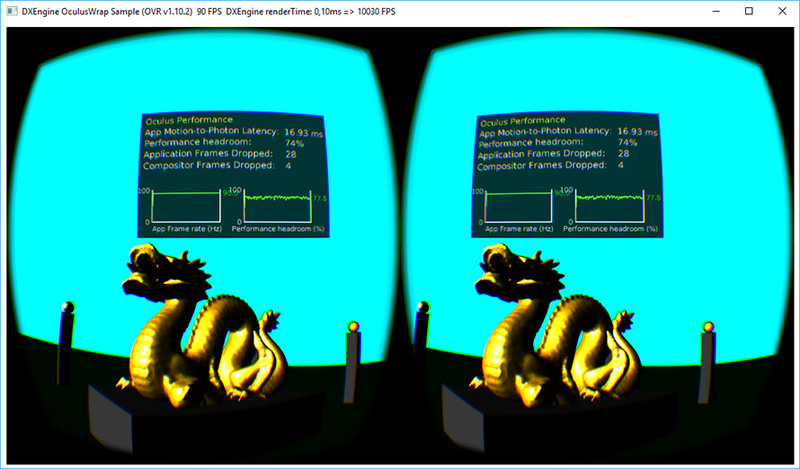 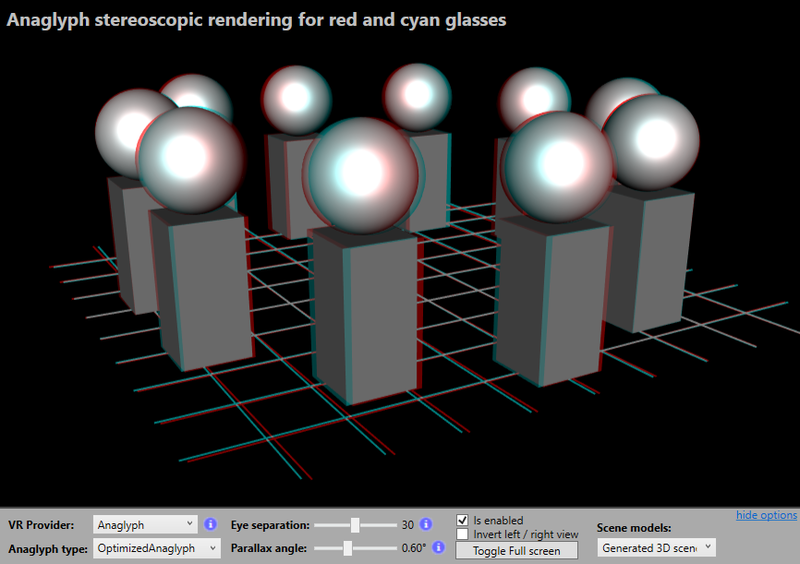 Support for virtual reality with split-screen and anaglyph rendering. 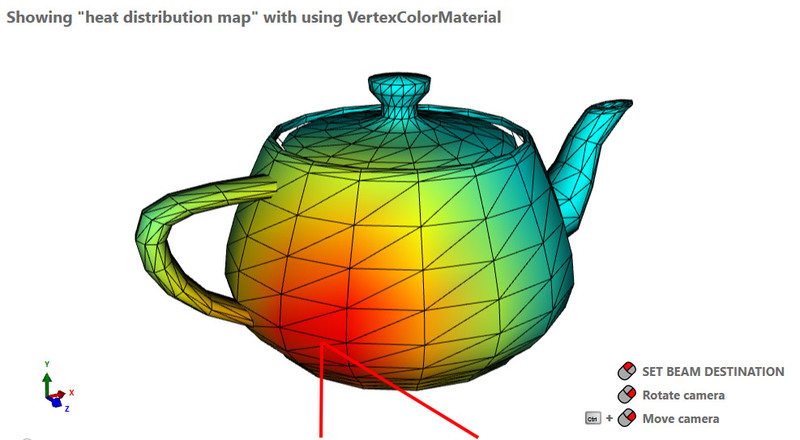 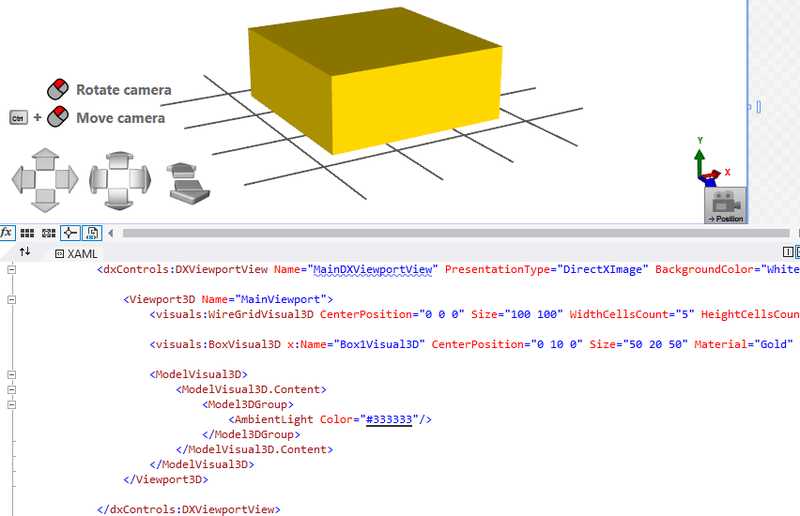 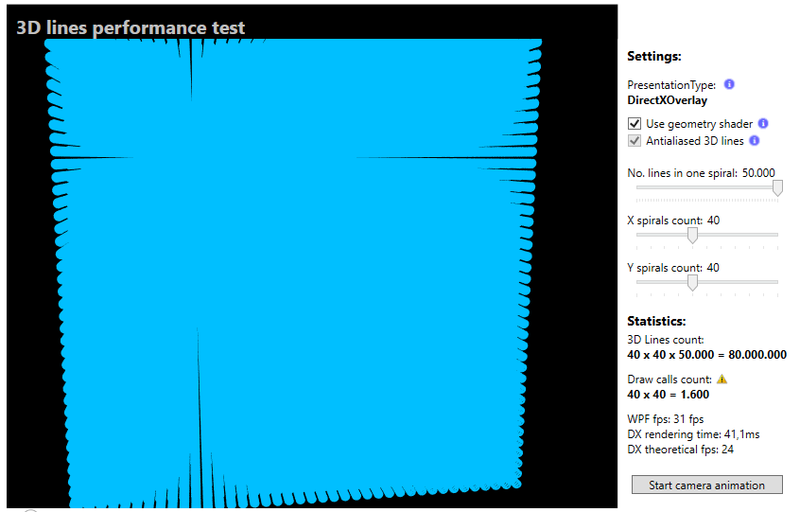 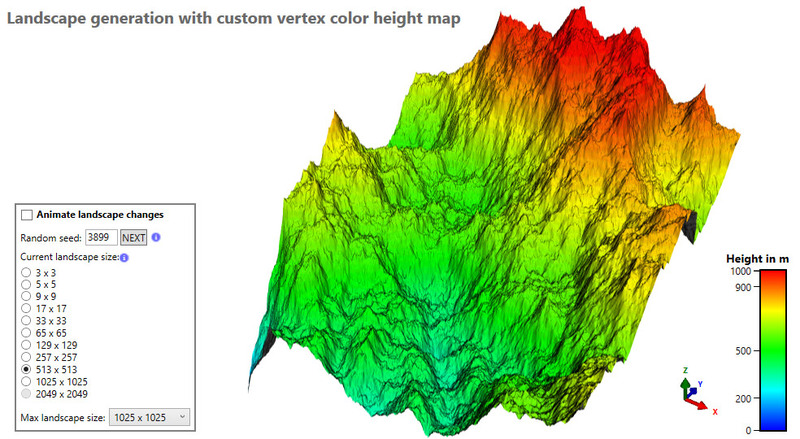 Use new engine with just a few changes of the existing WPF 3D code. 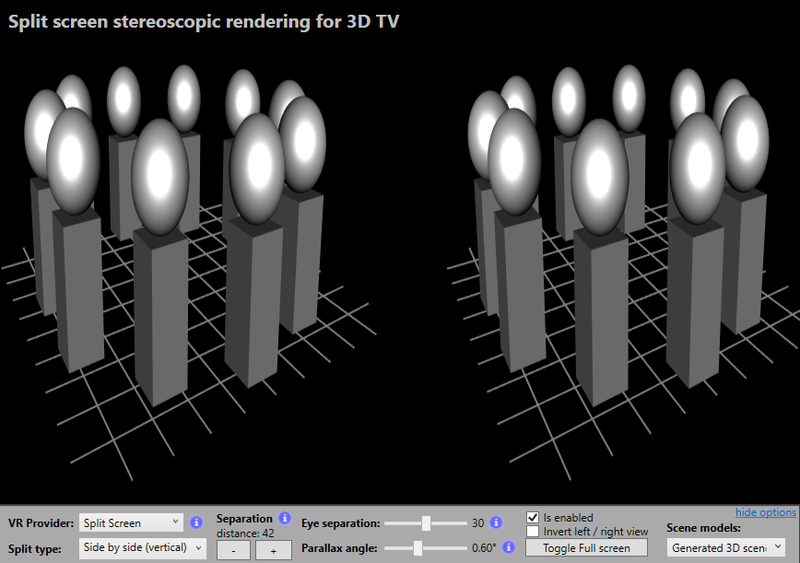 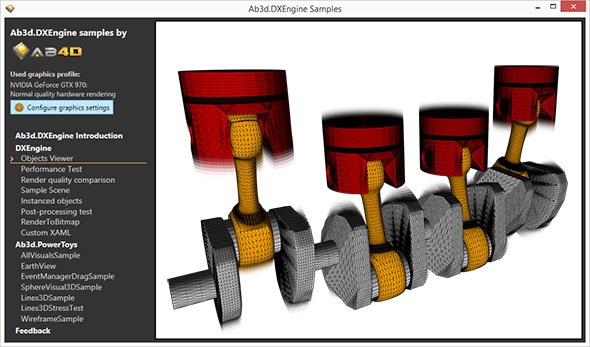 The engine fully supports Ab3d.PowerToys and Abd3.Reader3ds libraries. 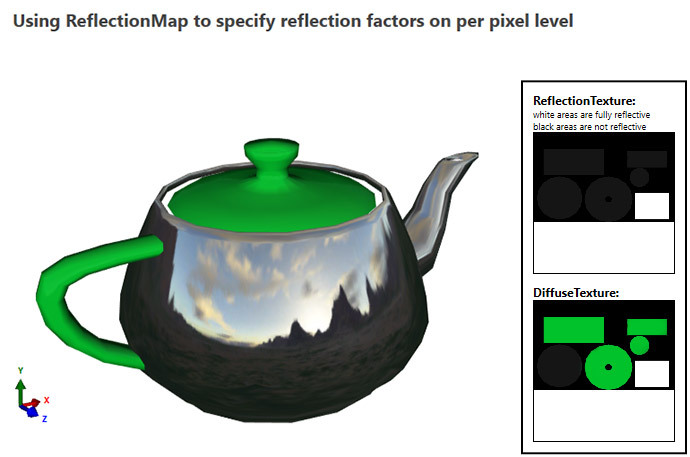 Great customer support by forum or email. 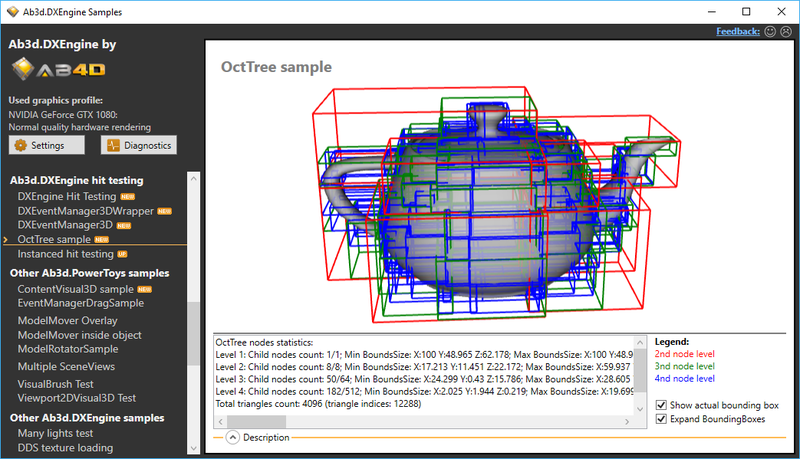 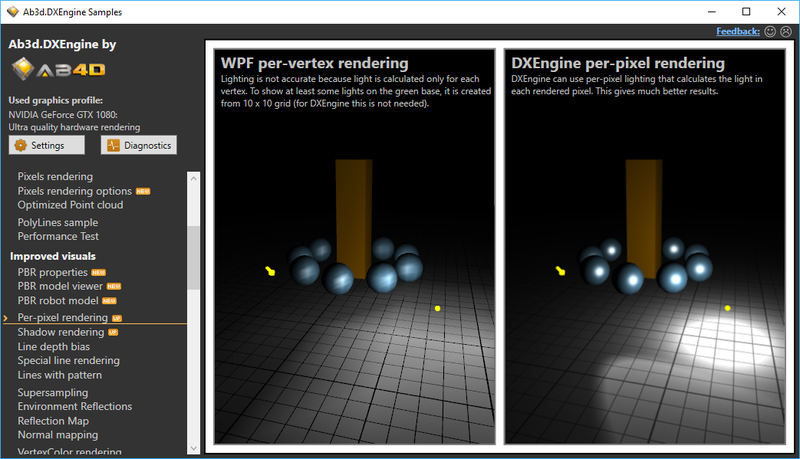 Ab3d.DXEngine is not another game engine (like Unity) that forces you to use its game editor, its architecture and requires many hacks and tricks to be used in a standard .Net application. 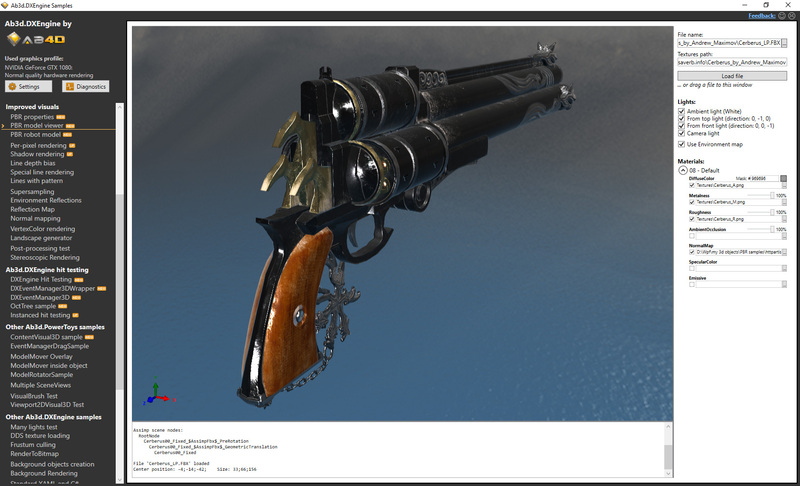 The Ab3d.DXEngine is a new rendering engine that is built from ground up with the purpose to be used in standard Desktop .Net applications.